Checklists can be helpful for most every area of life. For example, before traveling I always review a mental list to make sure I’ve appropriately packed and have my logistical bases covered. Over the years, I’ve also developed a mental checklist that I typically ask of every sermon before I preach it. Like traveling, this checklist is important because in the rush of getting out the door, I can overlook an essential element to the preaching process if I don’t intentionally pause and reflect upon the task at hand. These seven questions help me do just that. As Vance Havner once quipped, “God can hit a straight lick with a crooked stick.” Thankfully, God often works gloriously through the message despite the messenger. People occasionally survive plane crashes and brain tumors too, but that doesn’t make them preferred circumstances. The preacher shouldn’t hope God works in spite of his sin; the preacher should guard his heart so that God can most effectively work through him. What is more, if my conscience is pricked because of unconfessed sin, it will stymie my confidence, joy, and effectiveness in preaching. Am I confident I understand the meaning of the text? Faithful preaching is built upon faithful interpretation. Few things frighten me more than the possibility of misunderstanding or misrepresenting God’s Word. While no preacher bats 1000, if I err in interpreting the text it must be due to the complexity of the passage, not the paucity of my study. In fact, over the years there have been a few times when I’ve aborted a sermon last minute because I was not confident I rightly understood the meaning of the text. On those occasions, I was forced to preach an old sermon, but I would rather preach a repeat sermon than an errant one. Have I applied the sermon to my own life? Typically, I accomplish this by praying through the sermon text and manuscript one final time before I preach. Often, in that moment, I will find sin to confess, attitudes to change, actions to resolve to take, promises in Christ to rest in, or other such applications. This process strengthens my confidence in my sermon and gives me added force in my preaching. It also adds relevance to the sermon, because I often know how the text will work in the lives of others by how it has worked in my own life. Are there any partial truths or embellishments in my sermon? A good story can hold people’s attention, but God ultimately will not honor partial truths. If the story has to be embellished to make it interesting or to connect it to the text, it is not worth telling. Preachers should never speak with forked tongues, especially in the pulpit. Is my sermon as clear as it can be? As has been said, a fog in the pulpit is a mist in the pew. If you cannot clearly state the meaning of the passage, the main points of the sermon, and how the latter are derived from the former, you still have work to do. Moreover, twenty-dollar words and lofty concepts impress no one. However, this does not mean that we have to forfeit the Christian dictionary in the process. Explain words like redemption, propitiation, and justification, but jettison words and concepts that are needlessly confusing. Great preaching simplifies the complicated; it doesn’t complicate the simple. Do my illustrations amplify or detract from the text? To illustrate is to play with fire. When contained and rightly calibrated, good illustrations can add light and heat to the sermon. When uncontained and over torqued, they can consume and destroy the sermon. Balance here is key. Ponder this question carefully, “Will this illustration illuminate overshadow what the text says?” And, whatever you do, never illustrate and illustration. Do I make a beeline to the cross? As gospel preachers, every sermon should contain the gospel. Usually, this happens quite naturally and organically within the text itself. You don’t have to be an archaeologist to find Christ in the text; you just have to open your eyes. Taking a step back, every passage of Scripture will connect to Christ and to the metanarrative of God’s redemptive work. Intentionally drawing lines from your text to Christ and his cross will ensure your sermon arrives with life-transforming power. To preach is to live with an impending deadline. The tyranny of the urgent is the way of life. 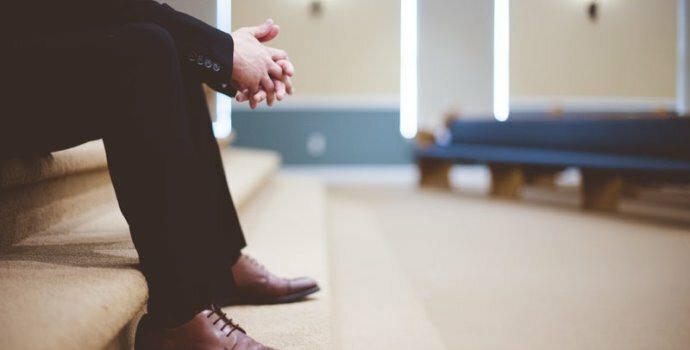 That deadline can focus thought and induce clarity, but it can also lead one to overlook an essential component of faithful preaching. Intentional and rightly targeted questions, like these seven, can help prevent this from happening. Your preaching certainly shows you do believe in these 7 questions and use them. Fantastic sermon last Sunday. I could feel your passion in every word. By the way, my story will be coming to your email. I need to apply some of these questions to it.